I read this article and found it very interesting, thought it might be something for you. 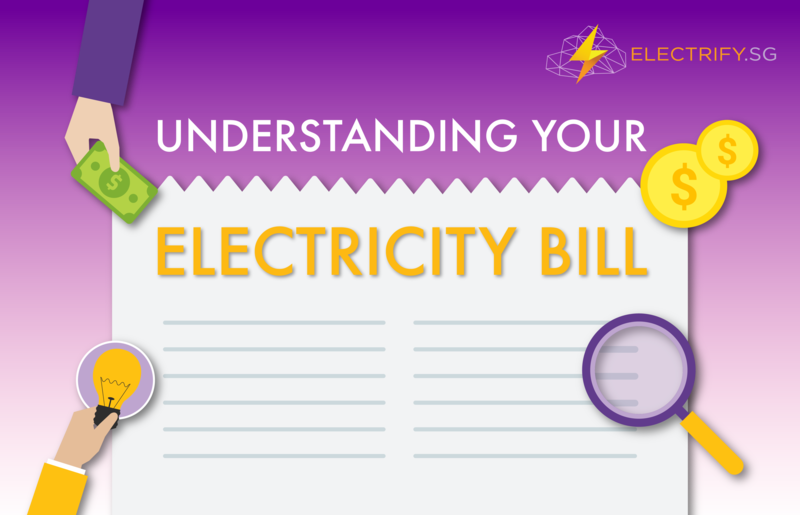 The article is called Electricity Bill: Understanding the Bold and Fine Prints and is located at https://electrify.sg/content/articles/electricity-bill-understanding/. Getting an electricity bill shock isn’t uncommon for us. But it is entirely avoidable… if we just read the fine prints of a contract before signing it. Yes, it’s human nature to get too excited when we come across an irresistible deal. But amidst the excitement, it is also our responsibility to conduct due diligence, to ensure we understand what exactly we’ve signed up for. This is especially true in our context of buying electricity. While the standard price plans make up the more significant component of your electricity bill, other items may be charged to you by suppliers, without you even noticing. So, grab your magnifying glasses! Let’s look out for the less-apparent additional charges possibly tied to your packages, to avoid getting unwanted surprises. Note: These charges are only applicable to commercial accounts. For all residential electricity plans, there will not be any third-party charges passed on to you. However, some retailers may charge an admin fee to manage your account; rest assured, it will be made clear to you in the contract. Transmission Loss Factors (TLF) are scaling factors applied at the metering point to account for network and transformer losses. These factors are derived using the methodology approved by EMA. Your monthly utility bill should include both the meter readings and TLF, currently at 1.034930 effective since 1 April 2018. This means that if your meter reading is 350 kWh, your retailer will bill you for 362 kWh instead (350 kWh x 1.034930 = 362.23 kWh). It is up to the retailer to absorb the cost or to charge it to your power bill accordingly, depending on your offered plan. A carbon tax is a tax levied on the carbon content of fuels. Earlier this year, Finance Minister Heng Swee Keat announced the implementation of an annual carbon tax of $5 per tonne starting from 2020. This affects all facilities producing 25,000 tonnes or more of greenhouse gas emissions. The rate, however, differs from retailer to retailer and may pass through different charges to the consumers in your electricity bill. It will also be reviewed in 2023, and will potentially increase to anywhere between $10 and $15 per tonne. The Market Development and System Charge (MDSC) is a scheme that supports market development initiatives. This enables commercial and residential electricity consumers like you, to enjoy more competitive prices, increased retail options, and greater price transparency. The MDSC charge has been revised to $0.03984/kWh with effect from 1 April 2018. Retail Service Charge is an administration fee that may be charged by retailers to manage your account. Contrary to SP plans which include TLF and MDSC into your electricity bill, some retailers may or may not include these additional charges in your offered plan. If you do switch providers, check with your retailer if it’s an all-bundled deal that covers these costs. Don’t forget to also request for a Fact Sheet from your retailer too. This document summarises the key terms and conditions, including contract duration, payment terms, security deposit, and early termination charges. But before you do so, you need to first choose your preferred retailer. Don’t be overwhelmed by your choices. Visit ELECTRIFY.SG now for a more simplified approach. We are Singapore’s first retail electricity marketplace, and we strive to make the entire process from comparison to contracting as seamless for you as possible.